Vlaamse Sportfederatie vzw (VSF) is the recognized umbrella organisation of the sports federations in Flanders (Belgium). VSF supports, informs and represents more than 75 sports federations, their approx. 19.000 clubs and over 1,4 million club members. VSF has 7 thematic focuses: sports policy, support to the governance of the member federations, sports for all, elite sport, volunteering in sport, sports and ethics, sports and health, support to sports clubs management. In 2012, the “Vlaamse Sportfederatie” (Flemish Sports federation) worked closely together with Galland.be to develop a marketing track in support of its federations. In six sessions, Ann took a dozen of our member federations on a marketing journey from developing a strategy to making concrete plans. The reactions from the participants were unanimously positive. Ann is an experienced marketer; you can easily deduct that from the many inspiring stories and examples she uses to illustrate the marketing vision she has. 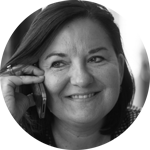 On top of that, Ann is a very enthusiastic speaker: she submerges you in her marketing approach, which makes you cannot wait to put what you learned into practice. In 2013, the successful track resulted in the creation of a permanent online “marketing toolbox”, an interactive website created by Galland.be to support our federations with digital guidance by the development of their own marketing strategy and plan. 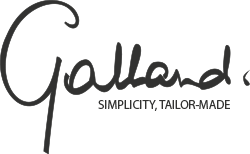 The combination of in-house expertise in both marketing and web design is undoubtedly an asset for Galland.be.